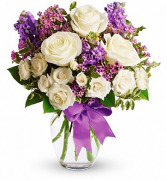 Elegant flowers such a beautiful and classic way to send a message on a special day! 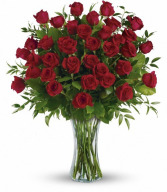 Take sending flowers to FORT WORTH to the next level with three dozen long stem red roses. Proudly offering delivery services to; Aledo, Arlington, Benbrook, Burleson, Colleyville, Crowley, Haslet, Hurst, Keller, Lake Worth, Mansfield, North Richland Hills, Saginaw, Southlake, Watauga and White Settlement, TX. 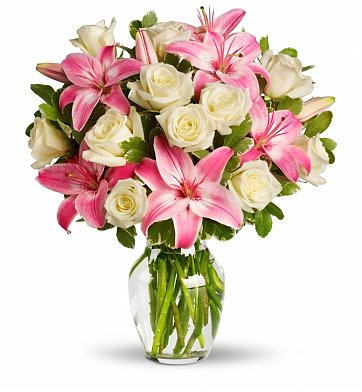 Brighten your special someone's day with the inspirational beauty of flowers and roses. Send these flowers and a Smile today! 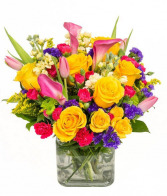 Send this radiant flower arrangement full of floral favorites to your friend or loved one in Fort Worth today!